Easy Ways to Make Money on the Internet - Yeah, Right! These days every penny counts and many people are turning to the Internet to supplement their income or even make a living. If you have been wondering about how to make money on the Internet, you have come to the right place. In this article, we present a comprehensive list of some of the best, tried, and true online earning opportunities. Read on to learn more about how you can make money on the Internet. Begin by building yourself a website. There are lots of web hosts that are easy and even free to use. A couple of good choices are Weebly.com and WordPress.com. Both have free options and are simple to use. Having a website gives you your own address online and opens up a world of online earning possibilities. Once you get your website set up, you can begin generating advertising revenue. Google Ad Sense (https://www.google.com/ad sense) is the most popular and easiest advertising income to generate. It is really as simple as searching “Google AdSense” and following some very simple directions. Once you’re signed up and connected, ads will be automatically generated to go along with your website content. You are paid via PayPal. You can make affiliate sales through a company called Rakuten Linkshare (linkshare.com). They provide customized e mail and ad links, as well as banner ads for popular companies and services such as iTunes, WalMart, Starbucks, and more. Once the ads are in place on your site, they are permanent, so you will continue to earn residual income with no further effort. 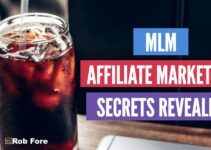 Another good advertising money maker is Amazon Associates (https://affiliate-program.amazon.com). Sign up via Amazon and you will be able to show Amazon product ads on your website and blogs. You can even set up small websites to highlight specific products or collections of products. The program provides a lot of different types of advertising tools such as banner images, text based ads, and more. Your earnings will go into your Amazon Payments account where you can use them directly or transfer them to your bank. Amazon also offers a crowdsourcing option called Mechanical Turk (https://www.mturk.com). Once you sign up, you can look for little jobs or HITS to perform for a small fee. Some of the tasks pay nothing. Some pay as little as a penny. Others pay $50 or more. It just depends on what the requester wants. Tasks include sorting pictures, transcribing audio and video recordings, writing articles, editing, rewriting information, and so on. It can be easy work and a good way to make a little extra money. It can provide a nice break between other more difficult online money-making pursuits. Many people have learned how to make money on the Internet selling products, books and so on via Amazon.com or on eBay.com. Many people have made a fortune selling all sorts of items from flea market finds to crafts to new merchandise on eBay, and it’s a good option; however, it does take a while to build up an eBay reputation. Additionally, a great many consumers turn to Amazon first when looking for anything. They tend to think of eBay as a second hand store and Amazon as a worldwide market. For this reason, you will probably have higher traffic and a greater chance of getting your merchandise seen via Amazon. Another great way to sell crafts is to open an Etsy.com account. With this free service, you’ll get your own storefront to display your wares. Just open a seller’s account and get started in a few minutes. Etsy is well-known as the go-to destination for people seeking nice, handmade goods, arts, and crafts, so you can count on pretty good traffic right from the start. With Etsy, you will receive your pay via PayPal. Craigslist.org is also an excellent place to sell stuff online. You can sell your extra belongings, merchandise, services, cars, really anything under the sun. You can advertise your garage sale or your money-making event. Craigslist is easy to use. Posting ads is free and self-explanatory. Do exercise caution when using Craigslist. Don’t post your exact location. Instead, wait until you have spoken with a prospective purchaser and then (if you feel safe) share your address. Better still, arrange to meet in a neutral location. Always have someone accompany you when you meet a stranger to sell stuff! Hopefully the ideas presented here have given you some good ideas about how to make money on the Internet. Use these to get started and keep researching and exploring to find more exciting and interesting opportunities to make money online.